This is a story of a family-run dealership whose roots in customer service were established in 1859. It is the story of six generations in a family-run business that has grown and changed with the times, literally from buggy whips to bass boats. It is the continuing story of Reynolds' Garage & Marine Inc. by Kathryn Reynolds Wayland as dictated by Leland Harding Reynolds. Nestled on Hamburg Cove off the Connecticut River in Lyme, Connecticut, Reynolds' Garage & Marine has been in business since 1859, when Ephraim Otis Reynolds started serving the carriage-riding public. In those early days, he built two- and four-seat carriages with canopy tops, and open conveyances. Each wheel spoke was painted and striped appropriately; each carriage received a hand rubbed coat of varnish, leather upholstered seats and cushion and a black patent leather dashboard. The blacksmith shop, located below the carriage shop, made all the iron rims for the carriages. In addition to servicing and building the carriages, Ephraim also operated a general store that included a grain room, hardware, kerosene tanks and many other necessary items, but progress in manufacturing was about to set our business on a path that was the first of many changes. Wagon production ended in about 1890 since Studebaker was able to build the carriages in an assembly line production and Ephraim could no longer compete. Ever the entrepreneur, Reynolds saw opportunity and entered the repair business. Then in 1909, Ephraim sold the shop to his son Hayden. Grandson Harold ran the general store, but only briefly, as he died in 1924. Ephraim and his wife had three daughters and four sons, but only Hayden became involved with the business. Hayden recalled that he worked for his father from dawn to dusk for just 50 cents a day. Hayden then changed the name of the store to the H.L. Reynolds Co. (Hayden Lord Reynolds), and continued to repair carriages until 1917 when he sold the carriage shop to a new owner who physically moved the building down the road on skids. Hayden and his wife had four sons and two daughters by this time. When carriages began to lose out to the more efficient automobile, about 1915, one of Hayden's sons, Donald Grant (or D.G. as he was called), made the transition to repairing automobiles. Hayden was still running the general store and the blacksmith shop, but allowed Donald to set up a workshop in a three-car garage on the property. Thus Reynolds began servicing automobiles, mostly Studebakers and Model T Fords. He was equipped to repair all facets of the Model T Ford. The boat business first came into operation in the form of a 35' scow powered by a 10hp single-cylinder engine Donald would use to ferry supplies for the general store. Donald was in fact quite an entrepreneur. When he drove the delivery truck for Hayden’s general store, he also went into the glove-making business. He purchased a set of dies and a bolt of cloth to cut pieces for cotton gloves in the evening. He delivered the gloves to women on the delivery route to sew them for him and then sold them at the general store. It was during this time that Donald married Kathryn Harding and they had four children together—Leland, Doris, Carol and Donna, Leland was interested and involved with the automobiles from his youth. Reynolds' Garage, circa 1924—Donald's business began to grow and about 1924 he built a new building, a stone building still used today for service. Tragically in 1924, the small three-car garage caught fire, and Donald burnt his hands badly trying to rescue a 32-volt electric light plant destined for the new building, as electricity did not reach there until about 1926. The garage burnt to the ground, but fortunately the roof was almost finished on the new building so business continued. He only had about $600 worth of insurance so Donald received virtually no insurance for the lost equipment and therefore never replaced all the tools for the Model T Ford repairs. A generator was used in the new building to charge a group of batteries to run lights, a 32-volt electric drill and a valve resurfacer. They did not immediately sign up for electricity when it came to town; they installed a switch on the generator to run both 32-volt and 110-volt tools. This required the technician to carefully lay out his tools and his job so the switch would only have to be pulled once. All the other equipment, including the air compressor, was run from overhead shafting and flat belts powered by a Star automobile engine. 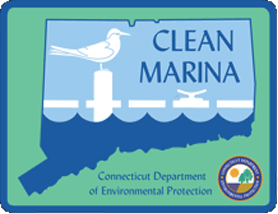 The docks and dredging for the marina took place in 1932, but the land remained soft from the fill for years. The first hauling engine for the marina was purchased from a junkyard in the 1930s for about $100 and is still used today. The engine was a 1908 Bridgeport automatic with an Atwater-Kent open circuit ignition system. In 1936, the first building was erected in the marina. Donald ran the marina with the auto service until it was rented to his daughter Doris’ husband, Charles Jewett. Marina buildings were constructed during 1936-49. The marina hauled and stored boats and repaired them. Leland’s brother-in-law, Charles Jewett, ran the marina from the early 1940s until the 1950s when Leland purchased it. Jewett at the time could accommodate about 30 small to medium boats for winter storage. When Leland purchased the marina, he changed the name of the company to Reynolds' Garage & Marine, formerly Don Reynolds Auto & Marine Service and previously E.O. Reynolds Carriageworks. Then in 1942, Leland purchased the business from Donald. Leland was drafted for World War II, but due to no eyesight in his right eye, (from tools used in his birth) he was not selected. When he was approached the second time, the government decided it was essential to keep him in the auto business. In 1941, Leland purchased the old blacksmith shop which Hayden had made into a cottage and remodeled it for his home. He married Laura Gallup and they had two children, Gary and Carleen. Gary helped his father from a very young age with the automobile business. In 1946, Leland acquired the first direct agency, Studebaker, so that Reynolds’ could act independently. In the 1950s, Leland and Donald received a thirty year appreciation award from Studebaker Corporation. Then in 1964, Leland became a Land Rover dealer and that lasted until 1974, when Land Rover went out of business. Fred Buttorworth, Reynolds’ Land Rover rep then went to work for Peugeot and later convinced Peugeot to offer Leland that franchise. Leland and Gary sold Peugeot from 1969–92. Around 1977, Gary purchased the business from Leland. In 1991, Gary acquired a Subaru franchise. 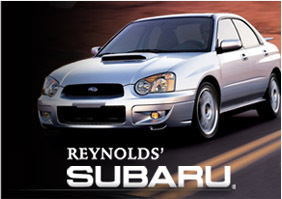 Currently Reynolds’ Garage & Marine Inc. sells and services Subarus. 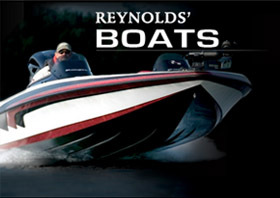 Reynolds' Garage also services Peugeots and other makes of vehicles, and now sells and services Yamaha Outboards, Cobia, Skeeter and G3 Boats. The boat lines are a recent addition that are still in their infancy and were selected by Tom, who is a very avid bass fisherman. The dealership employs all three of Gary's children who are the sixth generation, Leland Thomas (Tom), G. Hayden Jr., and Kathryn. It's been quite a journey for the Reynolds family. Yet through good and bad times, it's still in operation. Hard work, determination and customer satisfaction are why Reynolds’ has been around since 1859. This sixth generation business was recently named the No. 1 Subaru dealer in the country in customer satisfaction for both its sales and service departments. Kathryn Reynolds Wayland is one of the sixth-generation members currently running the family dealership. She manages both Customer Service and Human Resources. She has been working at the family dealership now since 1998, but helped out through her teenage years part-time. She received her bachelor of science from Cornell University in landscape horticulture, but the family business was growing so fast she went to work there after working for a short time in horticulture. Her brother Tom handles most of the boat business from selling to service, but bass fishing is his main love. Her twin brother Hayden is sales manager for both marine and automobile sales.